B. Thomas (Arlington, Texas, United States) on 20 October 2017 in Landscape & Rural. 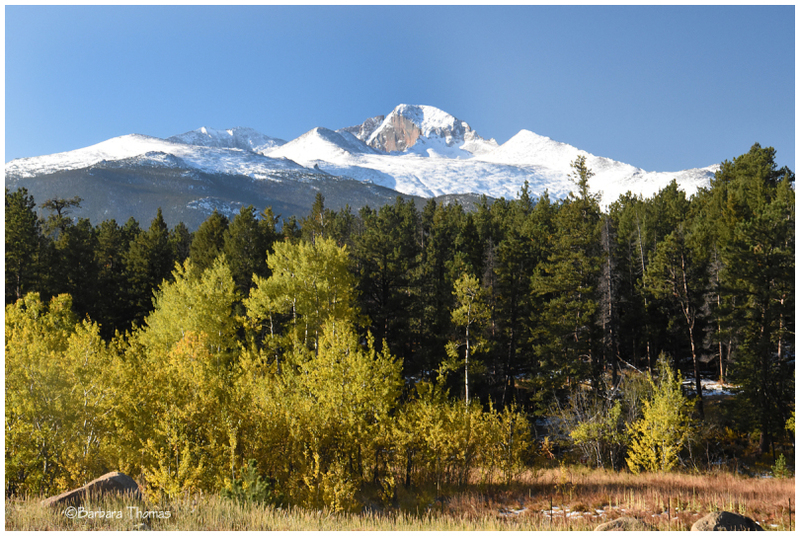 Longs Peak, at 14,259' (4346 m), is the highest point of Rocky Mountain National Park and Boulder County, Colorado, U.S. The mountain was named in honor of explorer Stephen Harriman Long and is featured on the Colorado state quarter. Longs Peak is one of the most prominent mountains in Colorado, rising 9,000 feet (2,700 m) above the western edge of the Great Plains. Fine scenery. Thanks also for your explanation. It adds to the picture's attractiveness. Ah, the pull of distant horizons . .
Picture perfect! Lovely. Makes me want to be there. A splendid shot of the snow covered mountain. What a beautiful photograph. Looks like a great place. Lovely combination of snow and autumn tones.